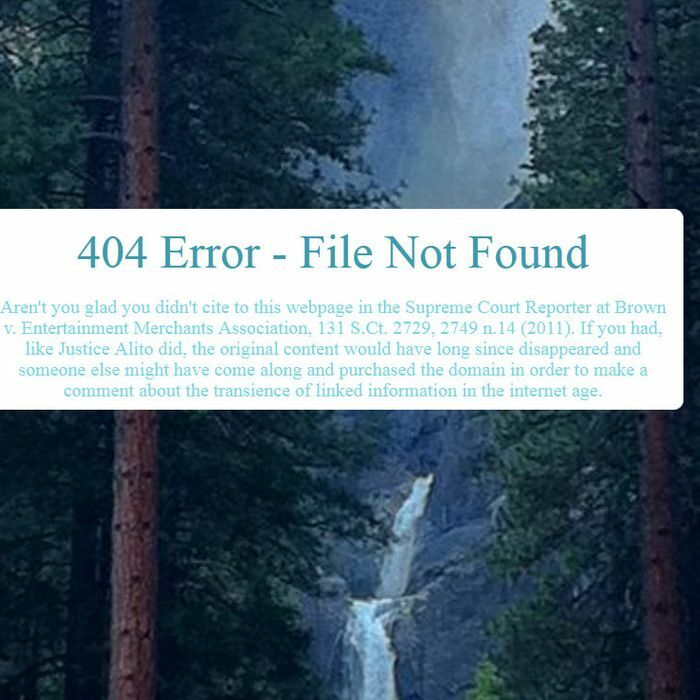 Nearly half of the hyperlinks contained in Supreme Court decisions no longer work, according to a new study on “link rot” — the awesomely named “Something Rotten in the State of Legal Citation: The Life Span of a United States Supreme Court Citation Containing an Internet Link (1996-2010)” — as reported by the New York Times, including the above, particularly illustrative example. The average age of the justices is approaching 70, so go figure. Everything is temporary, the court finds.